If you take a look around during a casual walk in your neighborhood, in the grocery store picking up ingredients for that favorite healthy meal or simply out and about enjoying some quality time with family & friends, you’ll notice people on their smart devices. It’s pretty difficult to avoid billboards, newspapers, magazines, podcasts, logos, vlogs, and ads which are even more forms of media. We live in the age of technology, everyone is connected on a daily basis and often times almost constantly. It’s not uncommon for a toddler to successfully navigate paths on a smartphone or tablet to their favorite game or video (still haven’t conquered flying cars!) Recent studies have concluded that teenagers spend an average of 9 hours on cellphones, tablets, and computers. That’s more than one third of their day online excluding school work and assignments. With such a large portion of time spent connected to the internet today’s world is saturated by media messages. 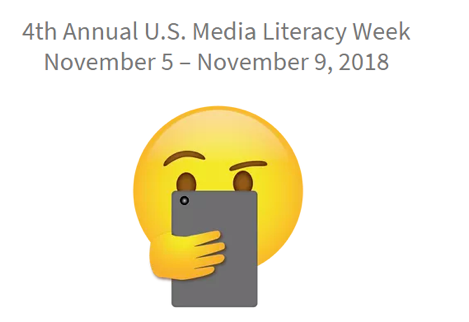 Organizations across the country are celebrating U.S Media Literacy Week from November 5th-November 9th to raise awareness about the importance media literary education and its essential role in education today. Events and awareness efforts are geared towards helping developing habits of inquiry. All forms of media play a significant role in our everyday lives with massive amounts of information and messages being shared within seconds. Each of us has a responsibility to apply critical thinking to how we disseminate this information. Here are three things you can do to ensure you are being a critical thinker and creative producer when it comes to media and media messages. 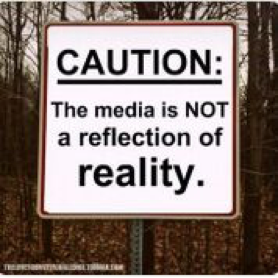 It’s important to note that not all media messages are factual just because they are posted. We don’t always know the who or why behind the things we see and read. Attention grabbing headlines or gifs can often draw out curiosity about what the content consists of. “Clickbait” has become extremely popular; this is a term used to describe text or a thumbnail purposely designed to attract users to follow the link, read, view, or listen to content. Checking sources is extremely important as some content can be opinion based and not fact based. Checking sources can allow us to identify research, point of view, credibility, and perspective. Appreciation for different perspectives can help students develop especially socially. Although you may be exposed to things you do not agree with, different thoughts and opinions makes for more productive use of media by becoming a smart consumer of products and information. Bias, pervasive intent, “fake news”, clickbait and suggested advertising become more identifiable. Identifying these aspects of media can ensure the messages we see do not have the ability to easily change our thoughts, beliefs, and behaviors. The amount of time spent on media can impact happiness and physiological well-being. Cutting out online platforms and social media completely is not the best solution, but instead limiting the amount of time we spend on media platforms. Studies have shown that students who practice a healthy limit of screen time are happier, more productive, and have increased valued social interactions. Excessive screen time can negatively impact self-esteem, social skills, and the quality of information adolescents rely on. According to the Center for Disease Control (2018) “higher levels of well-being are associated with decreased risk of disease, illness, and injury; better immune functioning; speedier recovery; and increased longevity. Individuals with high levels of well-being are more productive at work and are more likely to contribute to their communities”. Simple methods such as screen-free meals, playing traditional games that require no electronics, and unplug challenges can assist in navigating individuals towards more active, healthy habits. Media often shapes our understanding of the world, it is apart of our culture from who is gracing the cover of a gossip magazine to the headline of your local newspaper. Media often draws us in to find out more and can have a direct effect on how we act and think following exposure. Taking time to critically think about the message, how it makes you feel and determining the author’s purpose are important in digesting media messages. Sometimes we come across information we never knew about, sometimes we get angry, sometimes we are influenced to get involved, and sometimes our opinion of certain people and groups can change. Create a responsibility to understand how you think/feel independently about certain topics, ask relevant questions, and determine how media may be attempting to create a shift in that area. Whether it’s for voting, buying the latest running shoe, or drinking sugary beverage, consumption media messaging influences our society. Take back the power it has over your mind and the valuable time is can steal from your day! 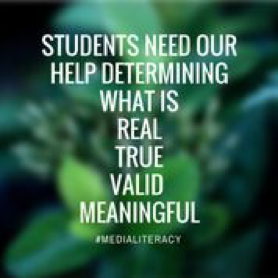 Practice media literacy and methods of disconnecting, there is great value in doing so. Check out more information and resources about media literacy from our partners at iSpeakMedia.